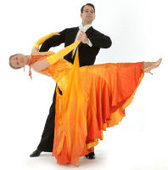 The final competition on the day of Cuppers is an inter-college DanceSport team match, which sees the Cambridge University colleges pitted against each other in waltz, cha-cha, quickstep and jive, in a format similar to that used in inter-university competitions. The format and scoring for the Team Match at Cuppers is described on the rules page. If you would like to represent your college in the team match, or are interested in captaining the team, please email events@cambridgedancers.org. Captains will be responsible for organising practices, partnering couples, booking college venues, etc. Each college's captain will be listed here as they are announced. If your college isn't listed, that means no captain has been announced yet, so you can volunteer! A complete list of team members must be submitted to events@cambridgedancers.org in advance, or given to the officials on the day, at least half an hour before the team match. Please see the Cuppers Rules for more information regarding the Team Match.